Bellaire Plaza is located in Lewisville, Texas at the SWC of State Highway 121 and Bellaire Boulevard. 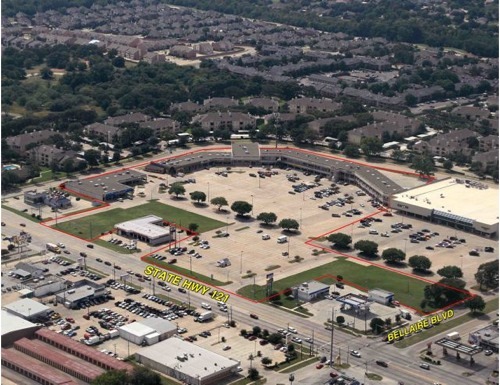 The two-story, Kroger-anchored center offers abundant parking, and is located near high-density residential communities and Stemmons Freeway (I-35E). In addition to neighborhood retail, office and medical services, major tenants include Subway and Rent-A-Center.